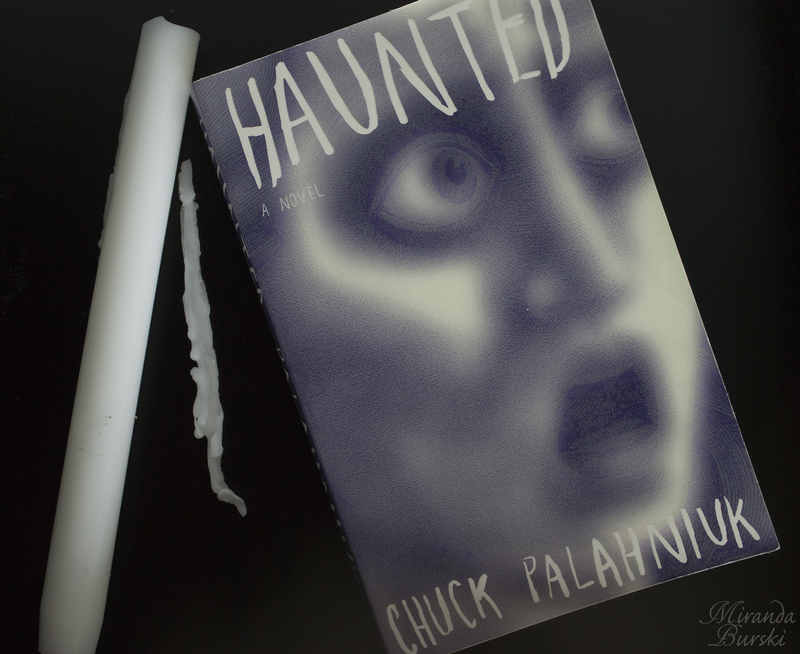 Alright, I want to kick this updated recommendation off with a warning: I love Haunted, by Chuck Palahniuk, and I highly recommend it… just not for everybody. Why? Because it’s one of the weirdest books I’ve ever read. Well, actually, “weird” isn’t the word to use. But the word that does come to my mind isn’t one I generally use on this blog, so I’m leaving it out. Basically, the novel goes into some pretty gory, unexpected details. And yet, Haunted was a novel I just couldn’t put down. Haunted follows a group of writers who answered an ad for an artists’ retreat. Each artist has a story to share–if you can stomach them. Despite the gripping plot and dark humour, my absolute favourite part of Haunted is the way it’s written. The overall plot is told in chapter portions, but there’s more to it than that. Between each chapter there’s a poem and a short story, both of which tell you about one of the characters. It’s a really great way to get to know them. Haunted is a novel made up of stories: twenty-three of the most horrifying, hilarious, mind-blowing, stomach-churning tales you’ll ever encounter. The stories are told by people who have all answered an ad headlined ‘Artists Retreat: Abandon your life for three months’. They are led to believe that here they will leave behind all the distractions of ‘real life’ that are keeping them from creating the masterpiece that is in them. But ‘here’ turns out to be a cavernous and ornate old theater where they are utterly isolated from the outside world – and where heat and power and, most importantly, food are in increasingly short supply. And the more desperate the circumstances become, the more desperate the stories they tell – and the more devious their machinations to make themselves the hero of the inevitable play/movie/non-fiction blockbuster that will certainly be made from their plight.